A major reshuffle occurred in the rankings of CommonWealth Magazine's 2016 Golden Service Awards. New faces catapulted to the top of 11 service categories (not including the drugstore/pharmacy category introduced this year), and at least 20 dark horses cracked the top five in their industries for the first time. "Service attitude," "service environment" and "efficiency" remained the main indicators of concern to consumers or the main reasons companies earned first-place rankings. But when this year's average scores for the seven indicators across every sector are compared with last year's, the numbers for "innovative ability" showed the biggest improvement in 11 of the 24 sectors surveyed, signaling the renewed pursuit of excellence in Taiwan's service sector. In other words, beyond the basic demands of consumers – a good attitude, efficient service and a welcoming environment – innovation and differentiation provide the "wow" factor that sets companies apart. The emphasis on innovation and differentiation results from some extent to challenges posed by the new digital age. Branded vendors have responded with dogged determination to create the perfect digital experience to capture next-generation consumers increasingly riveted to the Internet and their mobile devices. They are scrambling to re-engineer their organizations and nurture digital DNA to adapt to the new world. In the sixth annual Golden Service Awards this year, CommonWealth Magazine recognized the growing impact of the virtual world on consumer choice by gauging "Internet service satisfaction" for the first time to assess the digital experience provided by each brand (See Table). Ultimately, skillfully combining an old-school devotion to customer service with the tools and innovation enabled by new-generation technology was often a winning formula for this year's Golden Service Awards standouts. 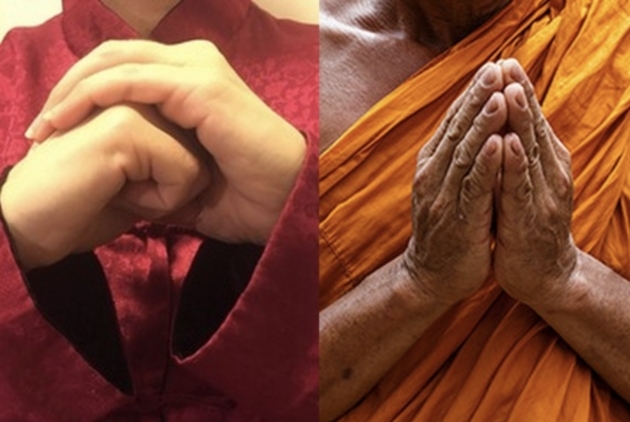 Three major trends revealing what works and what doesn’t emerged from this year's results. An analysis of this year's rankings indicates that focusing on upgrading products resonates especially well with customers and can quickly turn a company's fortunes around. That was the case for a dark horse – Chunghwa Post Co. – that unexpectedly vaulted into the top five of the "Life Insurance" category for the first time. The company's life insurance business showed major improvement in six of the seven service indicators used in the survey, only lagging behind in the "penetration rate." Chunghwa Post President Chen Shian-juh says the biggest change made was to adjust the life insurance business's product mix. Previously focused on selling relatively simple short-term policies, Chunghwa Post Life Insurance began in 2013 to sell life insurance policies with maturities of more than 10 years. Though the market for this type of policy is relatively small, limiting the company's penetration rate, it offered customers greater security and benefited Chunghwa Post's finances. Policies with maturities over 10 years now account for 40 to 50 percent of the company's first-year premium revenues, up from only 10 percent in the first year they were introduced. Rolling out new products often means changing systems and bolstering employee training, as Chunghwa Post learned. Selling insurance policies with longer maturities requires greater expertise, and the company found it needed to strengthen its sales techniques. So it installed a coaching system at its eight responsibility centers around Taiwan, hand-picking top employees to coach others. 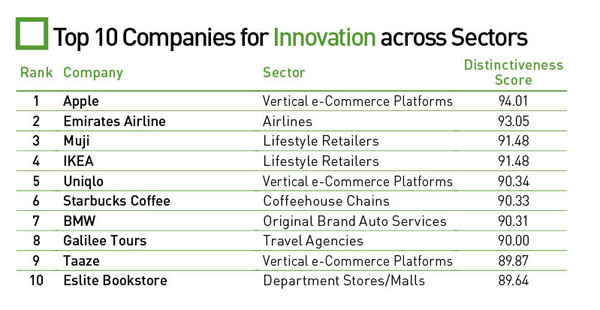 Similar changes in products and systems were exhibited in the "Coffeehouse Chains" category, which has seen the rise of several new brands in recent years and marked improvement in the survey indicator for innovation. Treasure Hill Artist Village’s distinctive cultural landscape and curatorial abilities landed it among the top five in the “Cultural Centers/Parks” category for the first time. 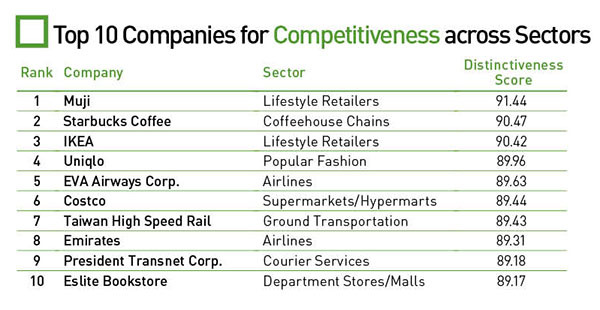 The emphasis on innovation resulted in a major upheaval in the sector’s service rankings. Though Starbucks Coffee and Rose House remained one and two, the next three spots were all taken by new faces with very similar scores. The coffee chain that made the biggest jump in the rankings to crack the top five was Crown & Fancy Coffee House, founded in southern Taiwan in 2013. The Tsann Kuen Group, best known for its flagship consumer electronics chain, invested in the coffee brand through subsidiary Star Travel Corp. and now has a more than 80 percent stake in the company. Backed by Tsann Kuen's deep pockets, Crown & Fancy has completely reinvented itself over the past year, making major changes to its ingredients, products and systems. It has invested in a foreign vendor of raw coffee beans and a small domestic dairy farm, giving it direct access to raw materials. 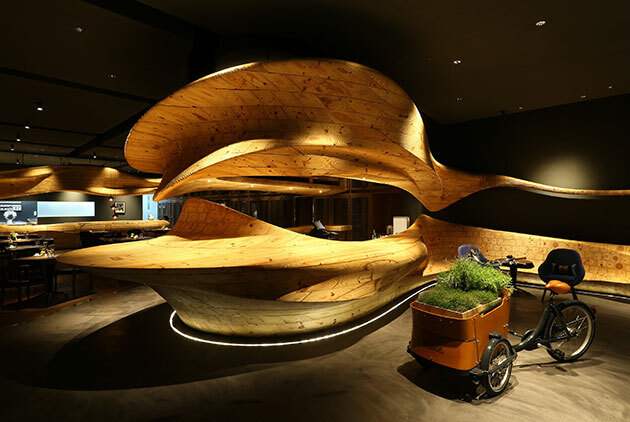 It even built a bean roasting plant and also set up a research center in Tainan to develop coffee machines and bakery display cases suitable for the local market. Another enterprise that vaulted to fifth in its sector – Original Brand Auto Service – with the help of an injection of resources from its parent company was Mazda. Ray Wu, managing director of Toucher Integrated Marketing Co., says that Mazda Japan set up a Taiwan branch in 2014 and provided substantial guidance and support to the local operation, not only broadening Mazda's product line but also upgrading service. As part of the makeover, Mazda Taiwan renovated its service centers, changing their blue and white color palette to a much more sophisticated black and gray look. "Their domestic car image has been transformed into that of an imported car vendor," Wu says. In the digital age, long-term customer loyalty rarely exists anymore, and copycat competition has intensified. Companies that have chosen to follow paths different from their peers stood out in this year's rankings. Galilee Tours' novel approach landed it in the top five in the "Travel Agencies" category for the first time, even propelling it to the very top of the list. The travel agency beat the four other top-five finishers in six of the seven service indicators while ranking behind them in "penetration rate." The travel industry, which relies heavily on integrating and packaging resources, has a high degree of homogeneity. Destinations, itineraries and packages offered one day are often imitated by competitors the next, a form of hand-to-hand combat that accentuates brand strength and price competitiveness. 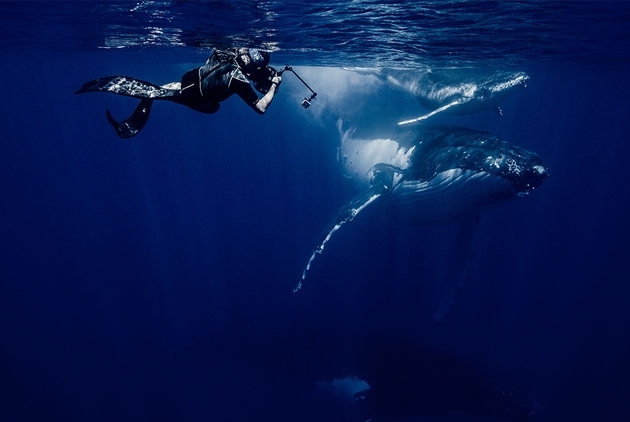 Galilee Tours has set itself apart by targeting upscale clients with "niche" high-end itineraries, such as to the North Pole to see the northern lights (aurora borealis) or to Kenya to see the great wildebeest migration. Eschewing traditional marketing strategies, including advertising, the company has built its business on word-of-mouth recommendations and repeat customers. Breeze Development Co.'s Breeze Center, a relatively late entrant in the domestic "Department Stores/Malls" sector, has embraced a similar philosophy, reflected in its steady improvement in the Golden Service survey over the past two years and culminating in a fourth-place finish in 2016. 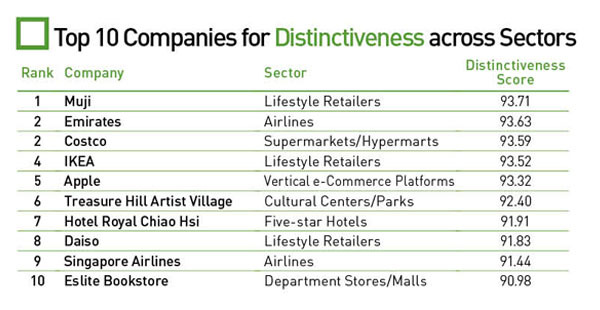 Breeze Center made great strides this year in "innovative ability," "service satisfaction," and "service environment," buttressed not only by increasing visibility from the opening of two new malls in Taipei's Xinyi District and the renovation of its Nanjing branch, but also by Executive Director Henry Liao's commitment to being "distinctive." Of the 106 brands available in Breeze Center Xinyi when it opened, for example, 35 were new to Taiwan. It also features ladies' dressing rooms where women can freshen up their makeup while enjoying a cup of coffee. Another example of innovation paying off is Jiangzhe-style restaurant Dian Shui Lou. The restaurant chain finally squeezed back into the top five in the "Chinese-style Chain Restaurants" category this year because it scored the highest for "innovative ability" in the industry. Alfred Chen, chairman of Dian Shui Lou's parent company the Namchow Group, once described his management model as relying on three pillars: innovation, differentiation and creating hypothetical competitors. So when he took over Dian Shui Lou and found the restaurant's "xiaolongbao" (a kind of soup dumpling) very similar to those served by renowned competitor Din Tai Fung, he sought change. Chen created a new recipe, using chicken stock from an old hen as a base and preparing the filling with the meat from the neck, hind leg and loin of Taiwan's indigenous black pigs. The presentation was also changed to five dumplings to a steamer. Diners have also been given the option of ordering just one dumpling to try when a new type of dumpling is introduced, highlighting the restaurant's confidence in its quality. In recent years, Dian Shui Lou has made a conscious effort to incorporate more local ingredients in its menu, using, for example, grass carp caught in Shihmen Reservoir to make "West Lake Fish in Vinegar Sauce." A boon for Taiwanese farmers, the initiative has also given Dian Shui Lou its own distinctive image. Also scoring high because of its unique features was Treasure Hill Artist Village in Taipei, which moved into the top five among "Cultural Centers/Parks" for the first time. Unlike most of Taiwan's new art zones in recent years that have sprouted up in renovated industrial warehouses, Treasure Hill Artist Village embodies a very distinctive cultural landscape. 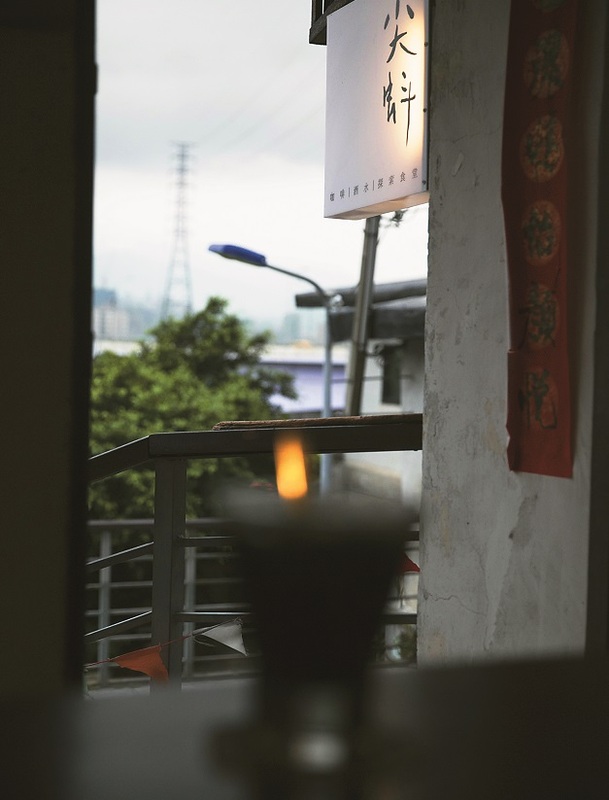 Located on a hill overlooking the Xindian River in the southern part of Taipei, the area was a squatter community that evolved along the serpentine contour of the river bank as old veterans, migrants from other parts of Taiwan and indigenous peoples moved in during the 1960s and '70s and built illegal structures. The village remains imbued with remnants of the past, and just strolling through the illegal structures can be great fun for visitors. 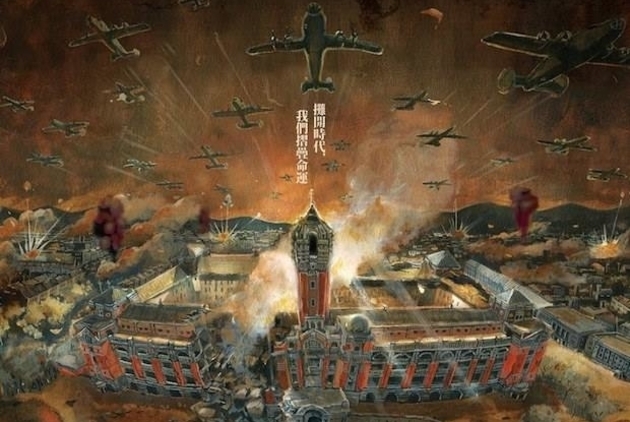 It also served as the backdrop for the highly acclaimed Taiwanese film Thanatos, Drunk, which received 10 nominations for Taiwan's Oscars – the Golden Horse Awards – in 2015. 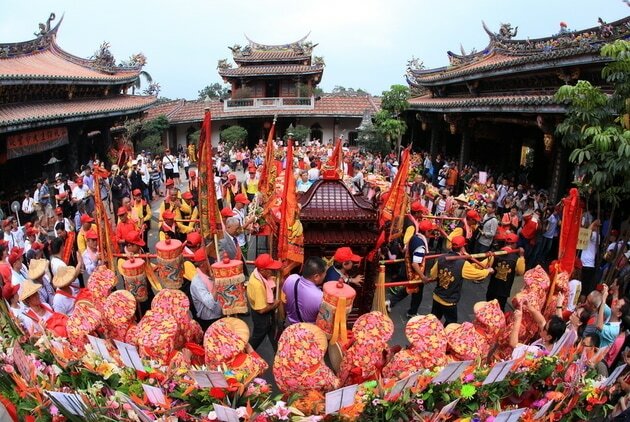 In recent years, artists from Taiwan and abroad have moved into the village, and several special events, including the Treasure Hill Environmental Art Lantern Festival, have been staged, helping it receive the highest score for the "distinctive services" indicator among "Cultural Centers." An oddity occurred in the newly surveyed "Drugs and Cosmetics" category, where companies with diametrically opposed competitive profiles made the top five. The top two finishers were Taiwan-based drugstore chain Cosmed (operated by President Drugstore Business Corp.) and foreign-based Watsons. The two chains are integrated retailers offering a wide range of brands and have high penetration rates. But they were no match for the third- and fourth-ranked companies – Chang Gung Biotechnology and The Body Shop – in terms of distinctiveness, retail environment and innovative ability. Chang Gung and the Body Shop mainly sell self-branded products. General retailers like Cosmed and Watsons face a broad swath of competitors, selling products that consumers can also easily pick up at retailers PXMart, Poya or PChome, and are vulnerable to price competition. So Cosmed and Watsons have adopted different strategies to raise the bar for entry in the sector. Cosmed has strengthened its employee training and encouraged its people to gain pharmacy consultant certification. It also plans to renovate its stores, improve its product lineup and introduce exclusive items, such as Korean jewelry or organic European soap, to distinguish itself from the pack. Watsons, on the other hand, has moved aggressively into digital services, setting up an online shop and allowing members to accumulate and redeem reward points online. It has even created an app with shopping, deal-of-the-day and group buy functions, going the extra mile to deliver as much convenience as it can. Watsons has also streamlined its processes and added digital tools, hoping to free up its store staff so they can spend more time helping customers. "Real Estate Agencies" represent another sector investing heavily in digital marketing. 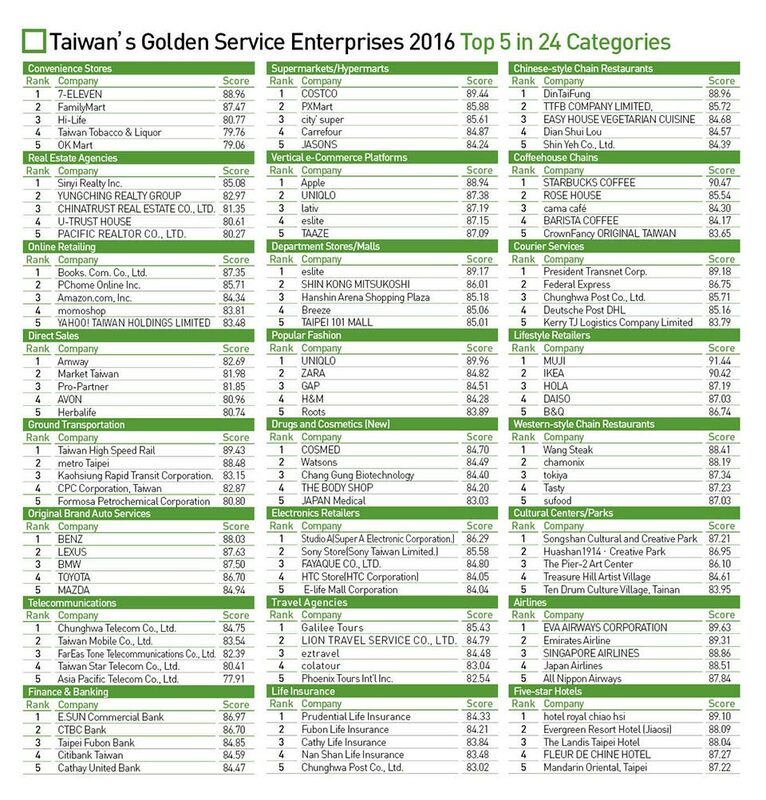 Sinyi Realty Inc. and Yung-Ching Realty Group remained the top two companies in the industry in this year's Golden Service rankings, but Chinatrust Real Estate Co. and U-Trust Realty Co. house improved to third and fourth place, respectively, with an assist from their emphasis on digital technology. Chinatrust Real Estate Vice General Manager Liu Tian-ren says his company has put a high priority on Internet services and Internet publicity in the past year, after putting out the first microfilm among real estate agents in 2011. U-Trust initiated an "I-mobile" system in 2014 that enabled its agents to text customized house-hunting information to customers through an internal platform, says Executive Vice President Jeff Chuang. The Internet platform, which stands out as U-Trust's biggest service upgrade, offers a full range of resources, including the latest sales prices of homes, neighborhood profiles and descriptions of similar properties, that save customers the hassle of visiting different brokers to comparison-shop. Investing in the Internet and digital services has become an unavoidable trend and a decisive battleground in the service sector of the future. The Internet is synonymous with "convenience," and the key to success is the sophistication with which companies handle the "last mile" of contact with their customers. In the survey's new indicator of "Internet service satisfaction," companies such as President Chain Store, Starbucks Coffee, Sinyi Realty, Uniqlo, Amway and Taiwan High Speed Rail Corp. all excelled. Their diversity of digital experiences, including information-oriented websites, functional apps, virtual points cards and e-commerce options, have helped these and other enterprises capture the first battle in the new digital war. Books.Com Co. topped the "Online Retailing" category by optimizing the digital experience, scoring the highest in the sector for "service environment," "service efficiency," "service attitude" and "service satisfaction." Over the past year, Books.com has focused on the details, according to Marketing Department Director Nina Ho. It introduced a new version of its mobile services platform with an improved user interface and plans to create an app containing consumer information and promotional offers. 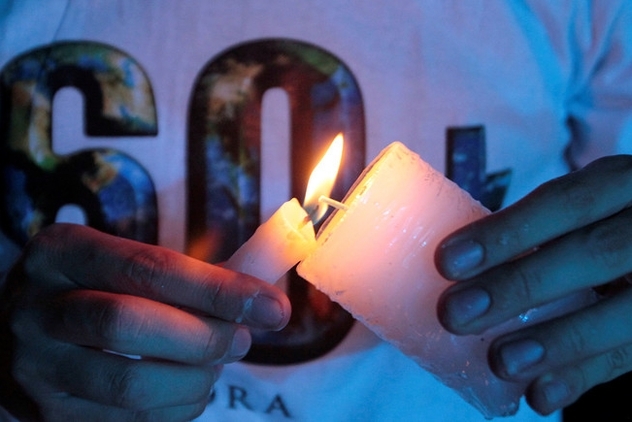 Another change was to devote more resources to social networks. "There's a lot of customer service that is handled on the Facebook fan page. So beginning last year, we had our customer service people manage our fan page and respond to specific questions, such as when a delivery will be made or whether a book is in inventory. Internet editors are responsible for the open message board," Ho says. 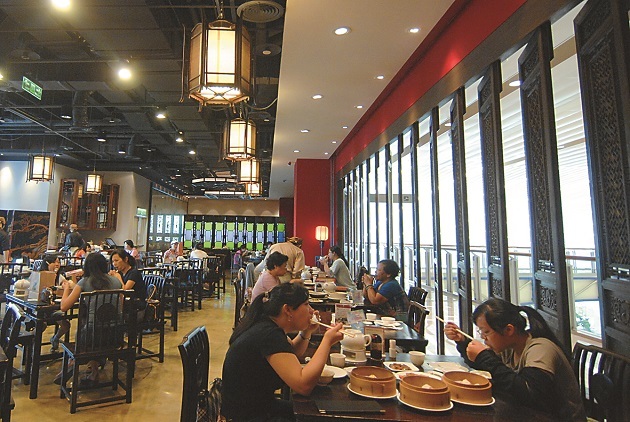 Restaurant chain Dian Shui Lou’s innovation in food preparation and presentation has earned it a following among consumers and helped it reach the top echelon in the extremely competitive “Chinese-style Chain Restaurants” category. Books.com also meets monthly to discuss customer service on social networks, and social community message boards will soon be folded into the customer service system and responded to through the same back-end support system. The strategy will help the company gather, sort and quantify issues raised by consumers to help it adjust its operations. The data, for instance, could help Books.com notice if a particular supplier repeatedly has delivery problems. The separate category of "Vertical e-commerce Platforms" in the Golden Service Awards saw a major reshuffle this year. Of the five fashion platforms that dominated the category last year, only Uniqlo and lativ remained in the top echelon in 2016, with the other three spots taken by 3C and book platforms. The top finisher in the field in 2016, Apple's website, scored highest for "distinctiveness," "innovative ability," "service environment," and "service satisfaction," and all by a wide margin. Underpinning Apple's strength beyond its product advantages was its commitment to constantly improving its website. It streamlined its online purchase system last year, eliminating its "online store" page in favor of a "buy" icon included directly on the pages describing its products. The intuitive change saved consumers the need to shuttle back and forth between the product and order pages and resulted in a major boost in satisfaction. Uniqlo, which ranked second in the category, also finished first among "Popular Fashion" brands largely because of the dual strength of its brick and mortar and online presences. Though Uniqlo Japan reported a drop in traffic and income in the first half of its fiscal year (from September 2015 to February 2016), Tadashi Yanai, the president of Uniqlo's parent company Fast Retailing Co., initiated a reform plan that will be worth watching. Taiwan's service sector is experiencing upheavals and consolidation as it barrels into an era of unbound variety. Regardless of whether the perennial leaders and newcomers in this year's survey relied on offline or online services to lure customers, they still must expand their vision and sophistication if they hope to continue to stand out and capture the hearts and minds of their customers.